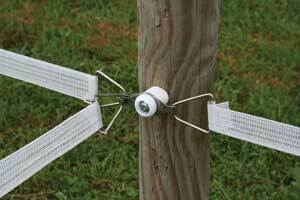 The Tee Tensioner has three tensioners to be used at all cross fence junctions. Quick and easy to install yourself with minimal maintenance. For use with 1.5" electric fence tape. White.